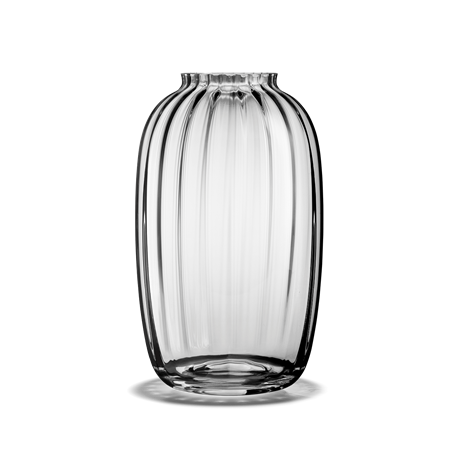 The small Primula vase by Holmegaard stands 12.5 cm tall and was designed by Jacob E. Bang. 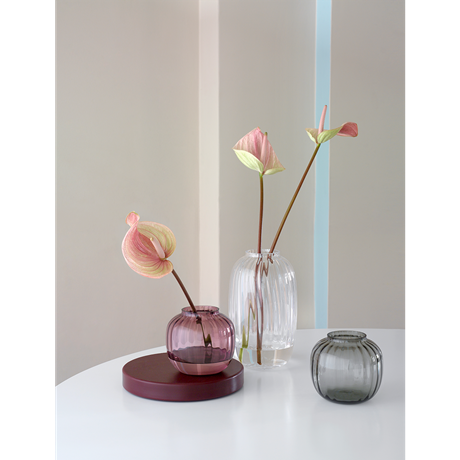 The plum-coloured vase is made of hand-blown glass and has an attractive, optical pattern that creates a unique interplay in the glass. You can display a single flower or a combination of flowers in the vase, which is also available in a larger clear glass version with the same beautiful detailing. Use the vases together or separately, as you wish. 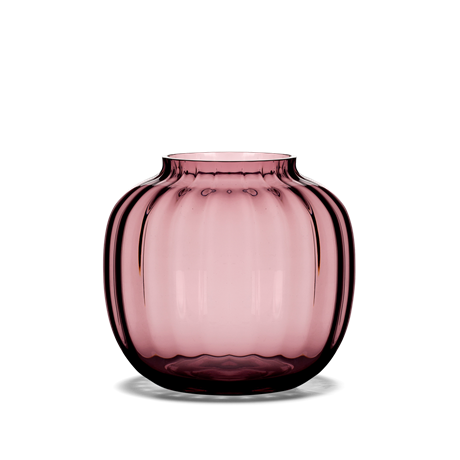 Jacob E. Bang (1899-1965) was Holmegaard’s first designer and was first employed at the glass factory in the 1920s. He was really an architect, but after working at the glass factory Bang shifted his attentions completely to industrial design. Jacob E. Bang is known as Denmark’s first industrial designer and the creator of functionalism in Danish glass. 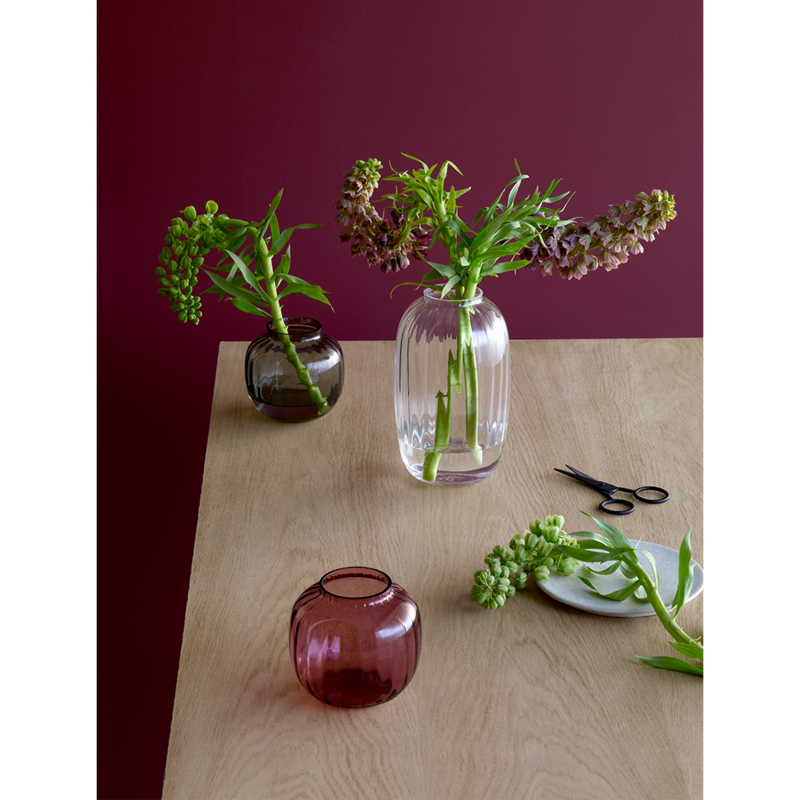 His design mantra was ‘beautiful, strong, practical and cheap’, and it was his words that formed the basis for the Holmegaard Glass Factory mission statement: “Every Dane should be given the opportunity to own a Holmegaard glass”.